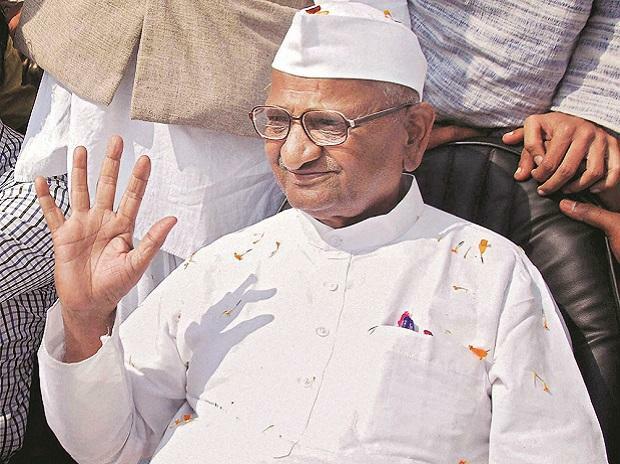 Social activist Anna Hazare's hunger strike Friday entered the third day with his doctor stating that the 81-year-old's blood pressure and blood sugar levels had "significantly" increased. Hazare has been on a hunger strike since Wednesday in Ralegan Siddhi village in the state's Ahmednagar district demanding appointment of anti-corruption watchdogs at the Centre and in Maharashtra and resolution of farmers' issue. Dr Dhananjay Pote told PTI, "There has been significant increase in blood pressure and blood sugar when I examined Hazare in the morning on Friday." Local residents, who have come out in large numbers in support, accused the state and Central governments of ignoring his demands. Several of them also protested Friday in front of the office of Ram Shinde, the district's guardian minister, a close aide of Hazare said.